Walker and Buster came to PAWS after their owner of many years passed away. 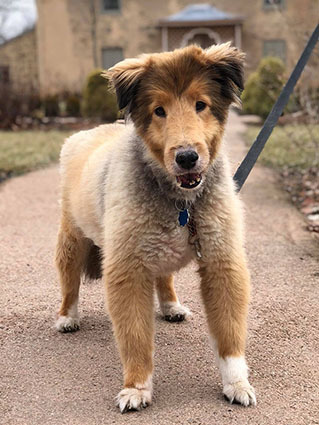 While we knew that both seniors had health issues common for older dogs, we were sad to find that Walker also had an advanced tumor on his adrenal gland that could not be operated on. When an animal in our care has a health condition that we learn is terminal, our focus switches from curing them to maximizing their comfort and quality of life.  Normally, our first step is to find a foster home where a pet can enjoy their final weeks or months with all the love and happiness they deserve. Although we very much wanted this for Walker, it was clear that extending his life would not be compassionate given the amount of pain he was experiencing. Knowing that the kindest decision is sometimes also the hardest, we hatched a plan to give Walker a special, fun-filled day with Buster before saying goodbye. 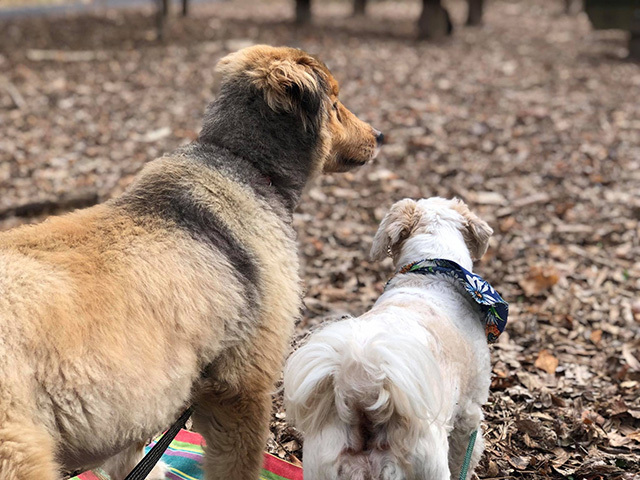 One of our most experienced foster parents was kind enough to lead Walker and Buster on their adventure, which would take place on the beautiful grounds of Bartram’s Gardens. 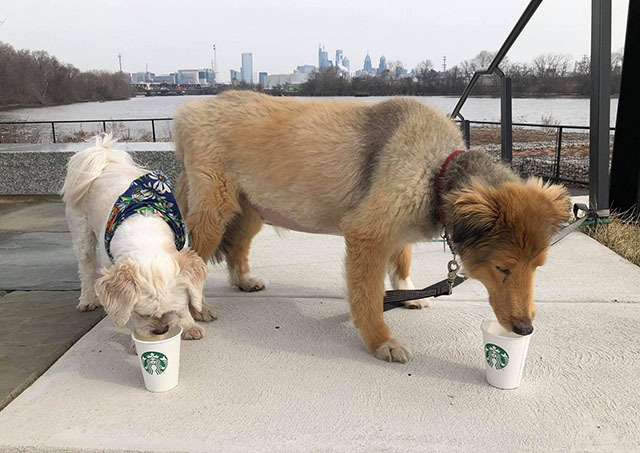 The day started by the river with “puppuccinos” for both of the boys. 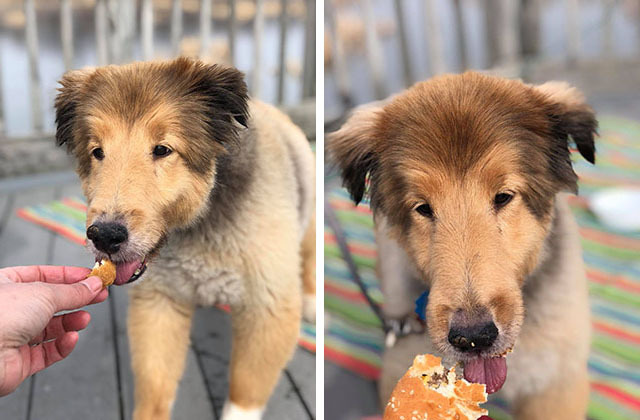 Since it was Walker’s special day and we weren’t sure what his favorite food would be, he also enjoyed a burger and some chicken nuggets: both were a big hit! A second volunteer was also present to make sure there was no shortage of ear scratches. Although Walker loved to get outside and go for walks, we knew he would need opportunities to rest, so a picnic blanket was always handy to take a break and enjoy the sights and smells. 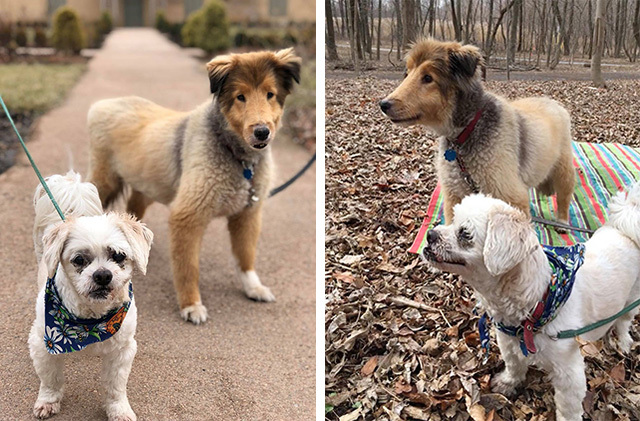 In addition to their walk along the river, Walker and Buster also enjoyed a leisurely stroll along the manicured grounds of the botanical garden and through the wooded paths of the arboretum. The weather was mild, and with the winter season being so quiet, the boys had the grounds almost entirely to themselves. When it was time for them to part ways, they were as relaxed and happy as we had seen them. We couldn’t have hoped for a more peaceful and enjoyable day for these gentle friends. Whether you’ve known a pet for two days or two decades, saying goodbye is never easy. Those of us who care for animals know that we’ll eventually have our hearts broken, but we do so without hesitation, because we also know that we need them as much as they need us. 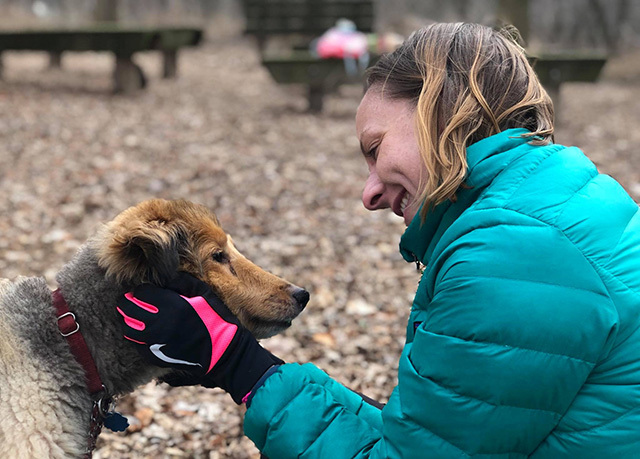 Walker peacefully departed surrounded by the PAWS staff who cared for him, and we took solace knowing that he was no longer in pain, and that we had given him the best day he could have asked for. After parting ways with Walker, we knew Buster would miss his friend dearly. 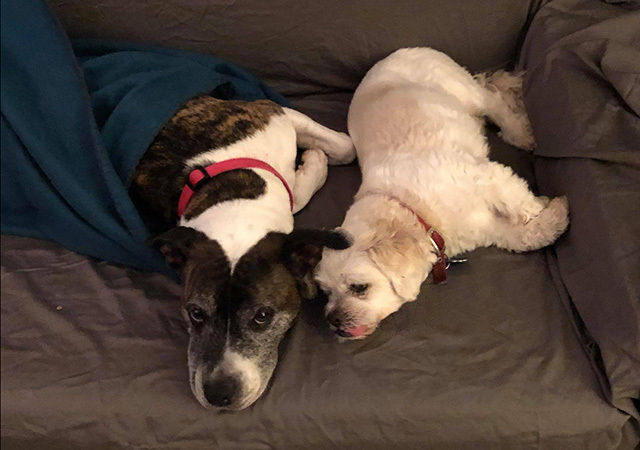 Luckily, the volunteer who took the boys out is also an experienced foster parent, and has two friendly dogs at home to help support Buster while he adjusts to the changes in his life. The timing of the day was planned so that Buster would go directly into foster care and would never be alone in the shelter. 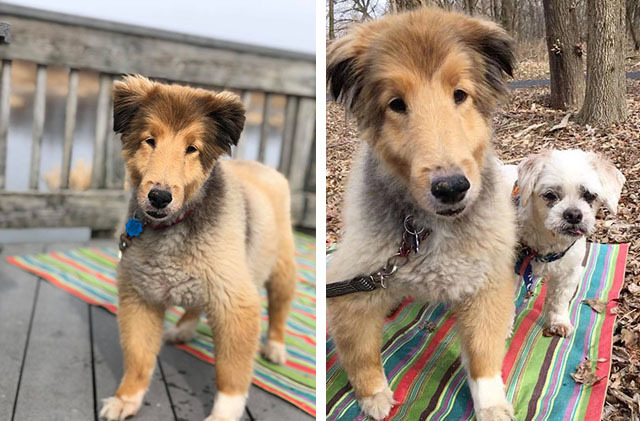 He’s settled in wonderfully with his foster family (including his new canine friend Ceni), and will be safe and content there while he waits for a permanent adoptive home.